From dog shows: Excellent, CK, CAC, BOB, BOS, CACIB. Kensi is the first born puppy here at ArcticMaple, and she is a true sweetheart. She is very beautiful, both inside and outside. She is friendly and kind to everybody she meets, and she is a very devoted mother to her puppies. 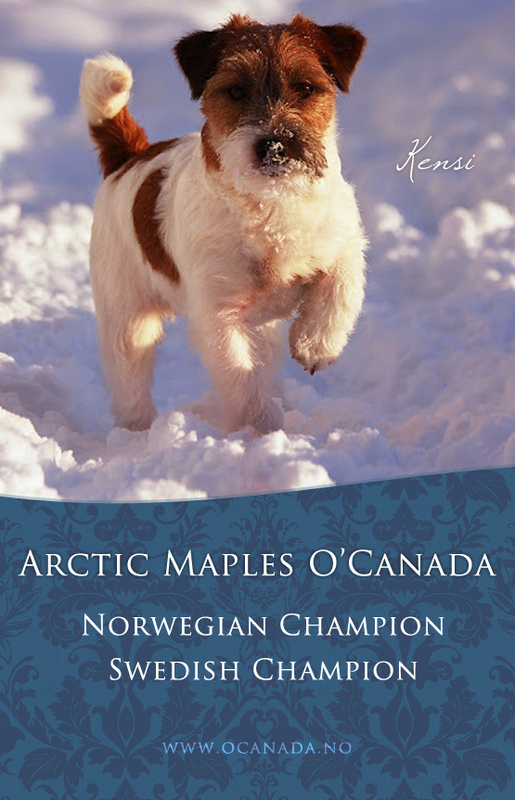 Kensis mother is Norwegian champion Fresh Field’s Morningstar Maud (Madde) , she is imported from the Netherlands. Her father is multichampion Kanix Fast Track (Riff) from Denmark.